After a mixed reaction to Coke Studio’s tenth season and Strings leaving the show as music producers according to their Facebook page, the future of Coke Studio is uncertain. 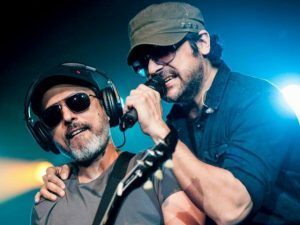 Strings took the role of music producers in Coke Studio in Season 7 after Rohail Hyatt’s departure. While seasons 7, 8 and 9 under Strings charge did moderately well, the 10th season, unfortunately, received a lot of mixed reactions. A lot of factors contributed to the tenth season being heavily criticized. Critics and fans alike noted the show for being too monotonous and the show was accused of nepotism as well. 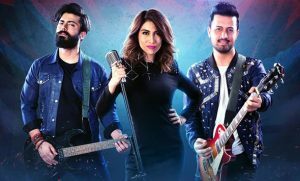 The stiff competition from Pepsi Battle of the Bands and the fact that it was the tenth season put Pakistan ’s biggest music platform under a lot of pressure. Coke Studio debuted in 2008 as an attempt to save the Pakistani music industry at a time when it was declining. While there is no doubt that Coke Studio has produced some masterpieces and gave a wider recognition to talented acts such as Zoe Viccaji, UmairJaswal and UzairJaswal it has its drawbacks as well. One drawback of the show is that it is too focused on remaking old songs. If Coke Studio wants to revive the music industry it should focus on providing new, fresh and unheard of songs instead of doing covers because redoing covers would mean that there is a lack of creativity in the Pakistani music scene nowadays. Coke Studio should also revamp its model and instead of featuring already well-known musicians should let independent and new acts present their talent at a wider platform because it is something they and the music industry both deserve. The Huffington Post called Karachi as an “emerging indie capital’’. But adding new acts should be done on the basis of their merit and not based on nepotism as it would be unfair to talented individuals who are less-recognized and need a platform and to the music industry as well. Strings should now focus on what they are known for doing best that is giving out music to their fans. 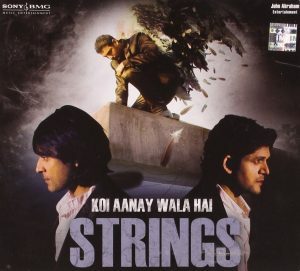 The band last released their album Koi Aaanay Wala Hai in 2008 during the decline of the Pakistani music industry’s decline and then worked on some singles and soundtracks, the most recent one being the soundtrack for the Pakistani filmMoor back in 2014 and nothing new has been done from the band ever since. As for the future of Coke Studio, it is up to the upcoming music producers and those involved with the show whether they want to play the monotonous card again or bring out something new to the table.